AFS Music - Project Studio. Our small but well equipped, acoustically treated recording environment. Sample: Trumpet recorded in our project studio and mixed into Sophia's rendition of Summertime. 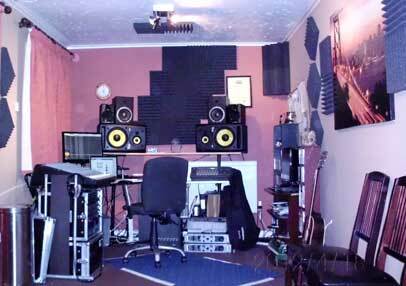 Our Project Studio is a small but well equipped, acoustically treated environment. 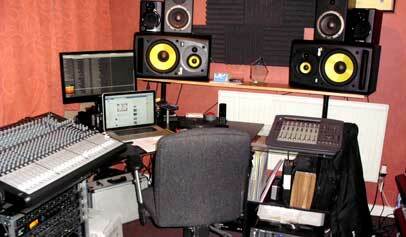 You will be welcomed and made very comfortable, and given all the professionalism expected of a much larger studio. As space is limited, it is most suited for recording spoken word, vocalists, solo acts and acoustic groups with a maximum of 4 members. For more information, please contact us with your requirements. Don't forget, with our mobile recording service, we can bring the studio to you, where the only limit is 24 tracks. We can even help you find a recording venue if you don't have anywhere suitable. Copyright © 2012 AFS Music. All rights reserved.